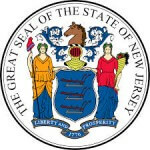 New Jersey, the Garden State, is the 4th smallest state of the nation. New Jersey has the highest population density in whole nation and is ranked 11th in overall population census of nation. Industrial revolution provoked during 19th century, helped in spearheaded growth of the state. $70378 is the median income that you can expect per year, if you are a New Jersey resident. It ranks 2nd in the list of highest per capita median income of US nation. With highest percentage of millionaire households, economy of state is mainly focused on industries such as pharmaceutical industry, chemical development, the financial industry, telecommunications, printing and publishing, food processing, electric equipment and tourism. The health care industry is also under consistent development. New Jersey Board of Nursing is fulfilling its role perfectly in this development. What is New Jersey Board of Nursing and what are its responsibilities? New Jersey board of nursing works under the guidance of Division of Consumer Affairs of the New Jersey State’s Department of Law and Public Safety. It was assembled under the nurse practice act and is an active member of NCSBN council. The Board regulates the various nursing profession in New Jersey. All the nursing associates whether CAN, LPN, RN or ARPN, are certified and licensed by Nursing Board in New Jersey. NJBN affiliates and accredits various nursing programs in the state. A performance record of each nursing school and program of New Jersey is maintained by the state board. Consumer protection and Safety is the main motive of New Jersey nursing Board. NJBN has also appointed a separate division to handle any consumer complaints and maintain abuse registry in the state. What is the median salary slab of various professional working under New Jersey Board of Nursing? The higher median incomes in New Jersey and higher living standards have also affected nurse practitioner salaries in state. The average salary of almost each nursing professional in New Jersey is 4% higher than national average salary packages. NJBN keeps a track of various nursing professionals including all the nurse aides, registered nurses, advanced medical practitioners and Physicians working in New Jersey.